Sales flat? Membership lagging? Customer base shrinking? Number of new recruits down? There are two types of individuals, businesses, and organizations: those at the top of the chart and those that are about to be (they just don't know it yet.) Every person can be successful; every business can be successful. There's an artist, a Mozart, a home run hitter, a dedicated, rewarded "star" inside every individual. Tom's here to help you launch your career, business, or organization to the top. His solutions are proven - those who have sought Tom's talent have seen membership grow, sales increase, and careers improve. Even in a "down" market, Tom's clients get results. Tom is "hands-on" with you or your key personnel and will utilize the expertise and harvest the talents available. He's a teacher - and he builds people. He's an enabler and true believer in "you'll win with who you are". And most importantly, Tom stays - he's not about a one hour pep talk. 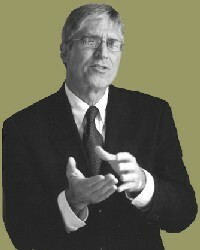 For assistance in improving your business, career, or organization, click here to contact Tom!